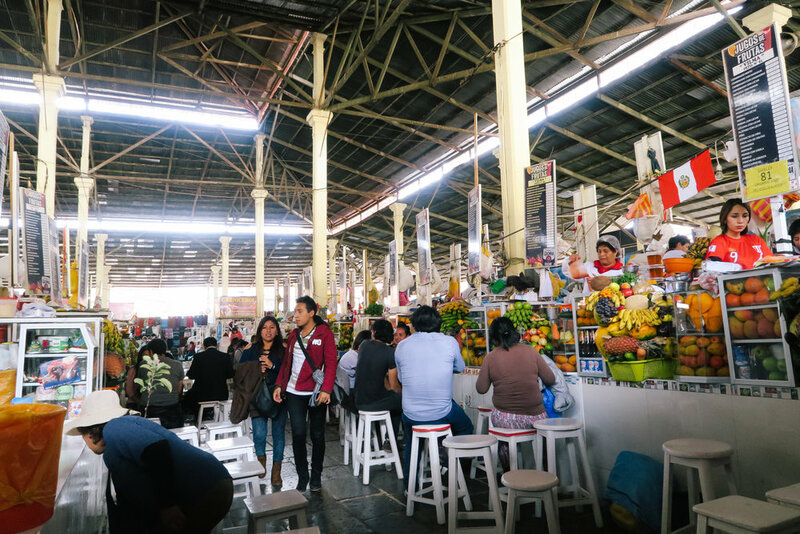 Our second day was spent driving around the various ruins near the city centre, the Temple of the Sun, and also visiting the San Pedro Market. Our tour guide, Yure, picked us up early so we could avoid the crowds. 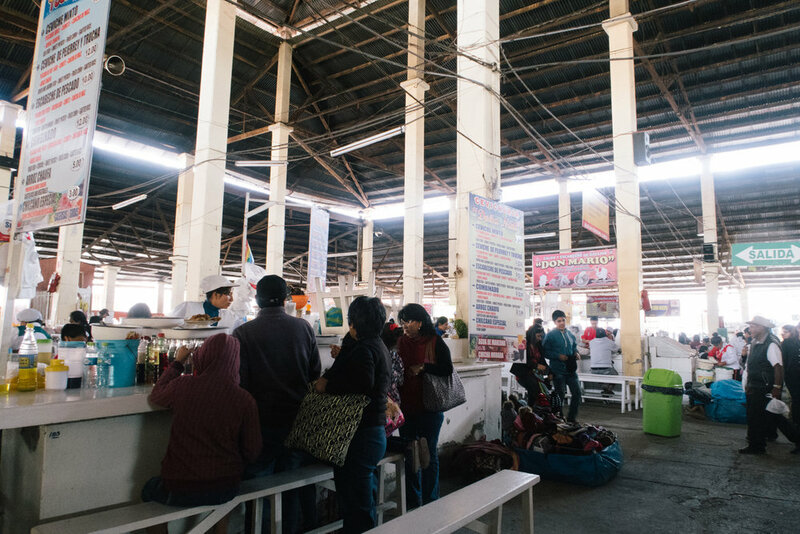 It gave us a huge advantage as we were able to stop by wherever we wanted, ask questions, and learn about the history from a local perspective. 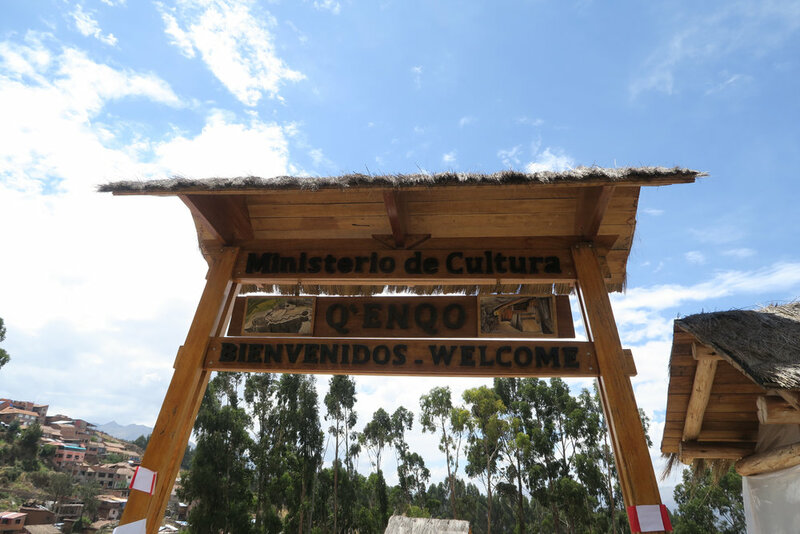 First thing we did was to stop by a high point to overlook the historical centre of Cusco, isn't it amazing?! Their government requires the roofs in the centre to be the same, and they probably have all these rules, but I'm definitely benefiting in this, because it's so beautiful to see. Our first ruins stop was Tambomachay. 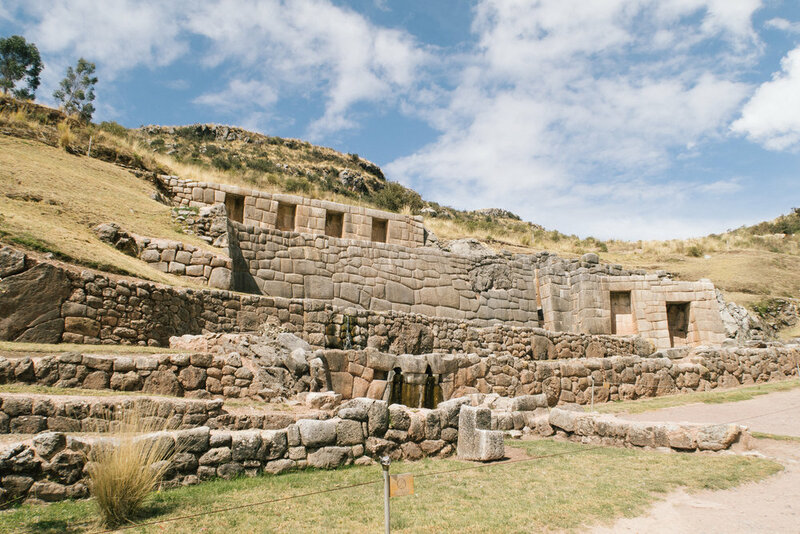 It was our first introduction to the various Incan styles of architecture - the trapezoid shaped windows and closed windows, the niches and their aqueducts ... they were very clearly a developed civilization, as they were able to do this much planning. Our guide also told us a little bit of their history, of how a lot of these structures were built in just over a hundred years, which is truly remarkable for the amount of effort these structures seemed to have. They had very simple tools only, and did not have wheels or hard metals, which makes everything even more amazing. It was clear from these ruins that a lot of hard labor was involved. To our surprise, they weren't slaves. So how did the Inca (the king) convince all these people to do so much hard work? Apparently, it was in lieu of paying taxes. 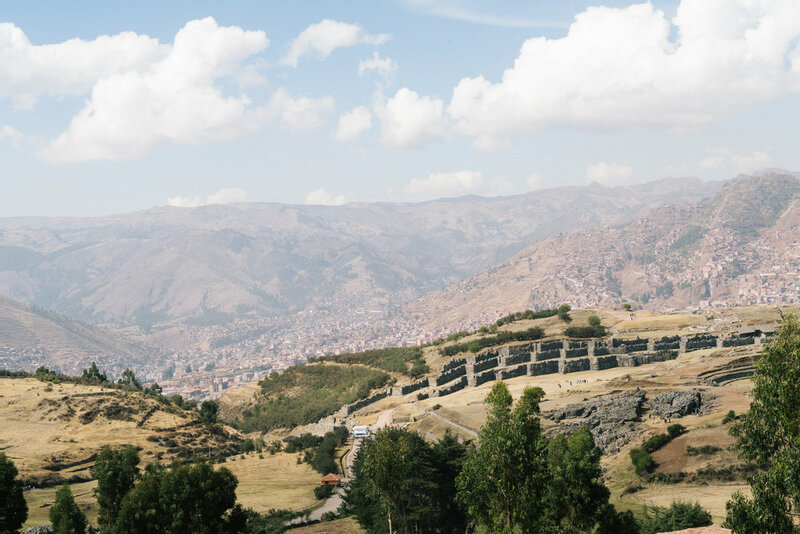 I also greatly appreciated that when the Incans were conquering the various tribes, they also took learned and gained from their smartest people and incorporated it into their culture, rather than destroying them completely. Thus, they were able to advance so much in a short amount of time. This second ruin was a fortress-type of structure that was situated on top of a hill, so it had such a beautiful view of the mountainside, that had lots of terraces. 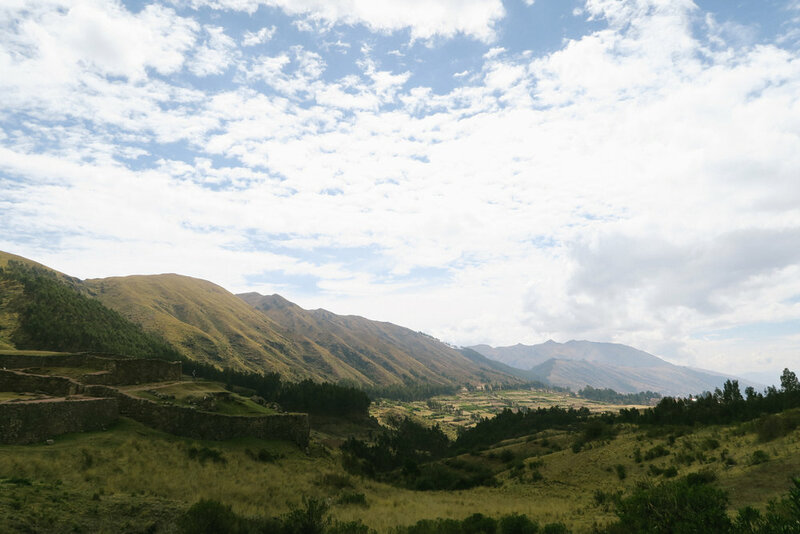 I also learned how advanced the Incans were in their agriculture, and they have so many varieties of potatoes and root crops! Who would've thought that they contributed potatoes to the modern world! The third stop was Q'enqo, which was a rock labyrinth. Seriously, super cool! It was just unlike something I've ever seen before. It felt like a canyon! Aren't these rock formations just stunning! I feel bad because I actually don't remember what this ruins were for, I think it had an altar inside so it was a shrine of some kind, but I was too trigger-happy so I wasn't listening (oops!). 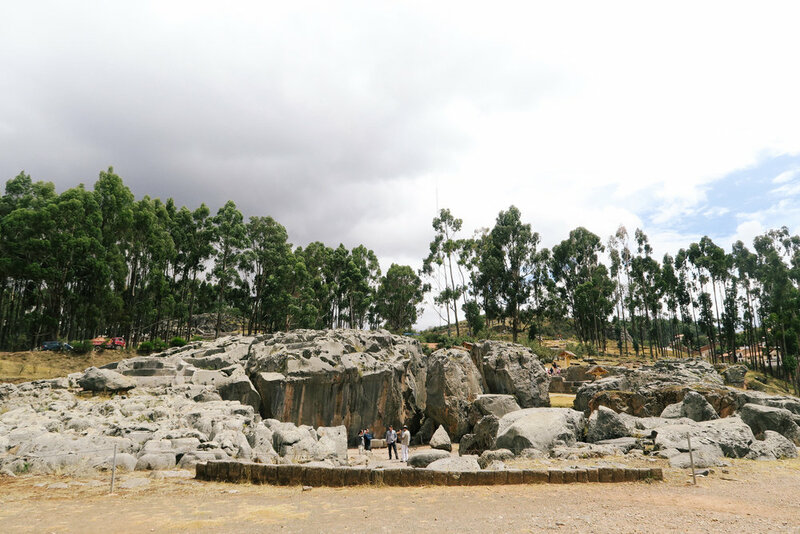 And then, on our way to the Sacsayhuaman ruin, the main one in this area, we stopped by a little community shop that educates people about the different sorts of alpaca fabric, and how to identify if it was true alpaca or not! Turns out, real alpaca wool feels cold to the touch, much more than synthetic fabrics. We also learned about the natural dyes that they would use with this wool, and the kinds of colors they could produce. We noticed a lot of ultra-bright colored fabrics everywhere, and most of them are synthetic. This is a citadel, so amazingly fortified. This ruin truly blew my mind. I cannot fathom how they lugged all those stones around without wheels, and how much time it took to polish the stones to that they fit perfectly together like this. I would understand if it was a soft material or if it was small, but these are 60-90 ton stones!! 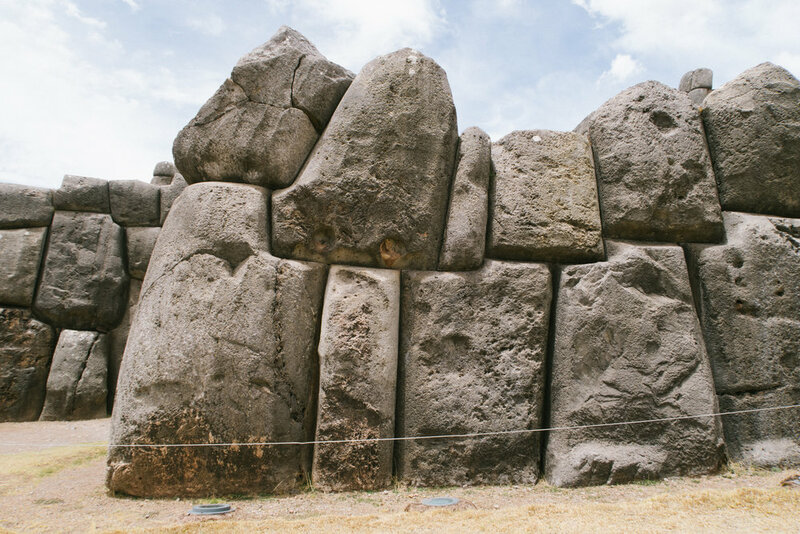 To make sure that the structure was super strong, instead of just putting two rocks perpendicular to each other, they carved out to stones so it had an L shaped corner. That's just so remarkable! Clearly, they were amazing engineers too! 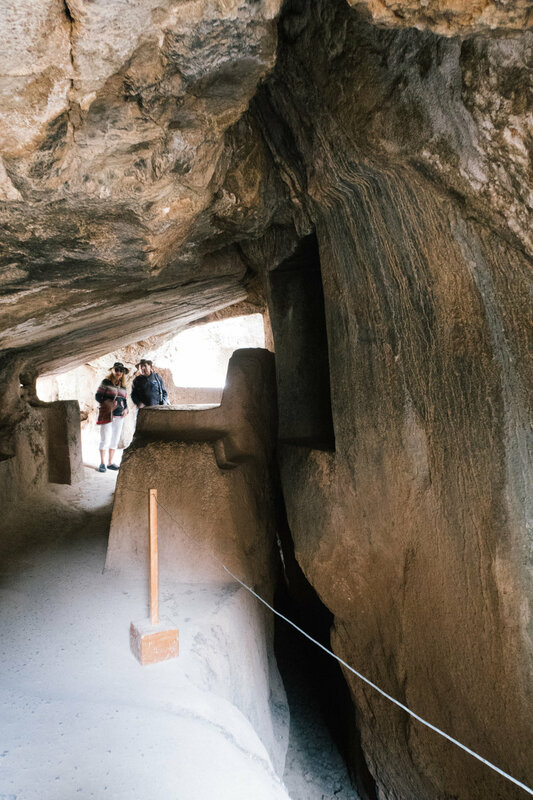 And then, we headed downtown back to Cusco centre and visited the Temple of the Sun, also called Coricancha, which is also now a Catholic Church built on top of it, but it was one of the most important temples in the Incan age. Most churches don't allow photos, for good reason, but here are some of the courtyard. The entire place was now decorated in lots of paintings from that time, and of course the usual Catholic decorations. 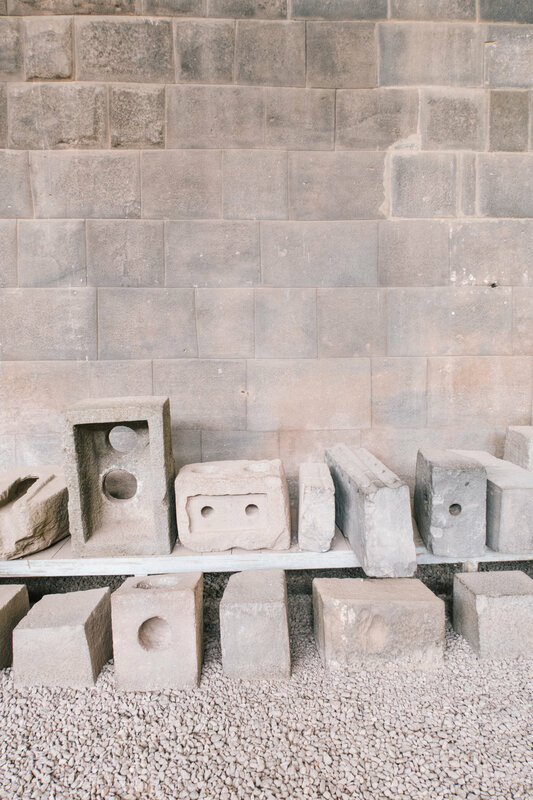 The stonework that was left here were the best we've seen, since it's the temple. 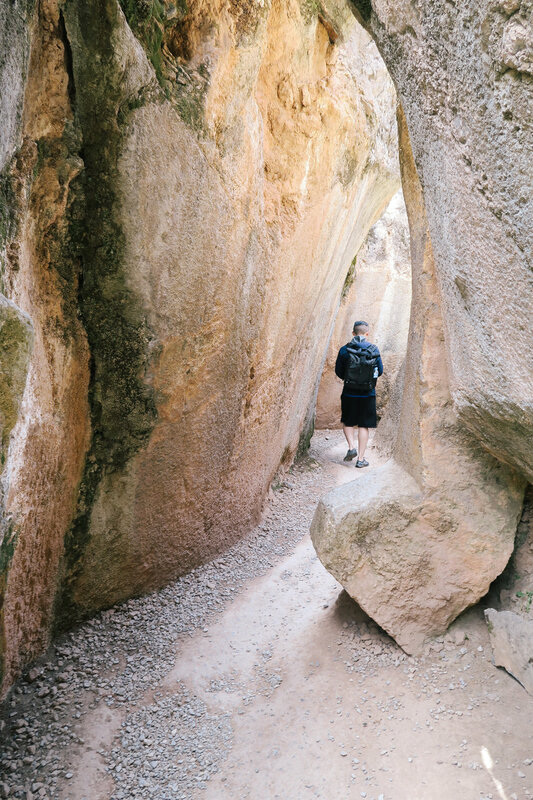 We learned that the best ones were reserved for the royalty or the gods, and the rocks here were truly polished smooth. Something about the handmade makes it so amazing. And yes - those corners there, that's also a single larger rock carved into an L shape - not two rocks together. 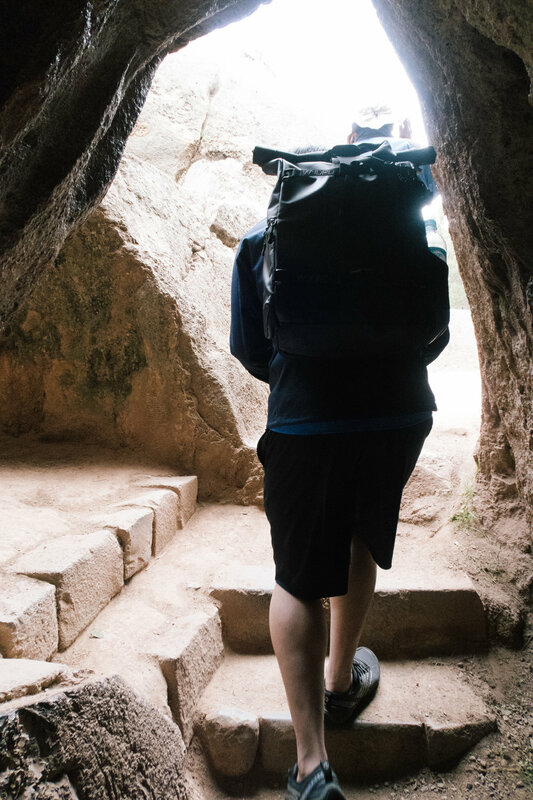 We also learned that not only the exterior of these rocks fit perfectly without the use of mortar, but the inside also had crevices, much like a jigsaw puzzle or Lego, so they were better kept together. And of course, the trapezoid windows, and the entire wall is also angling inwards, for better stability - which also means more work. After this, C and I walked back to the Plaza and decided to stop for lunch at Morena Peruvian Kitchen. It was SOOOOO good. 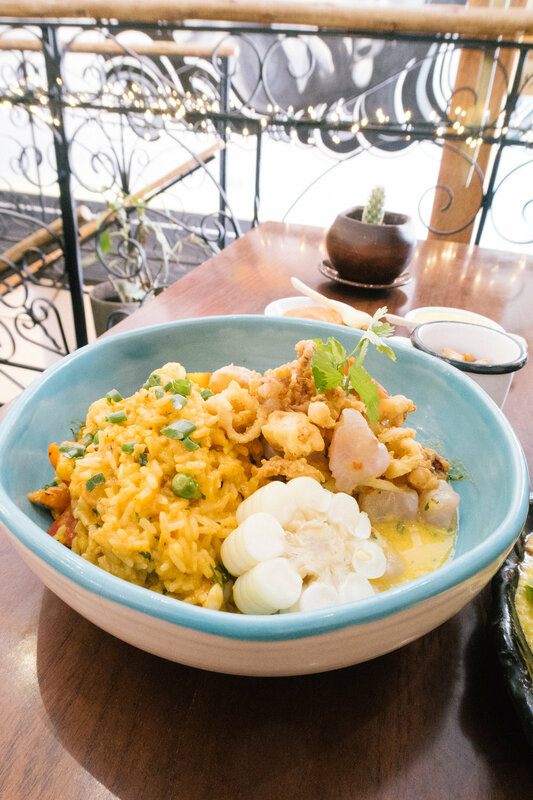 We had the Arroz con Mariscos + Ceviche combo, plus their lomo saltado which hadthe yummiest quinoa risotto beneath it. SO good that we actually came back to this same restaurant a day later. The veggies and seafood were all so fresh tasting. Highly recommended! In the afternoon, we decided to visit the Mercado de San Pedro which is essentially the biggest market in town, and it's where the locals go for cheap eats and fruit drinks and groceries and clothes and whatnot. It's also a great place to get cheap souvenirs, and synthetic fabrics. It was literally everywhere. We were also in search of a Peru jersey since we wanted to cheer for Peru in their World Cup Qualifiers, against Colombia! Because C was still at risk, we didn't risk eating at the market but it was so much fun to look around, everything was so colorful and vibrant. We had dinner at Uchu Peruvian Steakhouse, which was pretty good! It was our first taste of Alpaca. Afterwards, we headed to Plaza de Armas and it was crazy packed! It was so much fun watching everyone cheer for their team, and C was able to capture their reaction when they got the tying goal with Colombia! But as you know they ended the game with the tie, so now Peru has to go and compete with New Zealand in the play-offs to try to get in the World Cup, and Colombia already has gotten in. Oh well! After watching the game, we headed off to rest, as the next day we're heading to Maras and Moray!